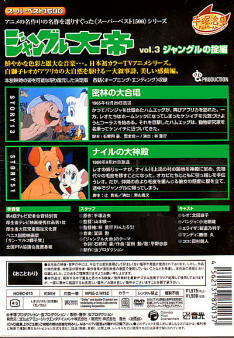 All the DVDs on this page contain the ORIGINAL JAPANESE versions of Kimba. There are no English dialog or subtitles on these DVDs. All these DVDs on this page are Region 2. 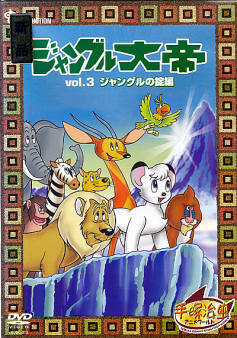 Many people have asked about getting the original Jungle Emperor episodes in Japanese. These were released in Japan a few years ago, but have gone out of print since then. The original Japanese DVDs were very expensive when they were available; we have been able to obtain a very few at reasonable prices. 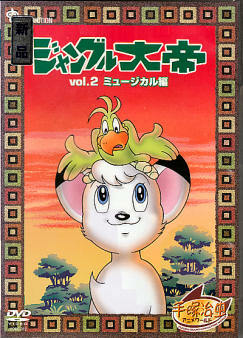 These is a genuine, original Region 2 DVD from Tezuka Productions and Nippon Columbia. All dialog and writing are in Japanese and there are no English subtitles. This DVDs is factory-made, factory sealed, and brand new. This DVD is no longer being made. plus $4 for First Class shipping to anywhere in the world. 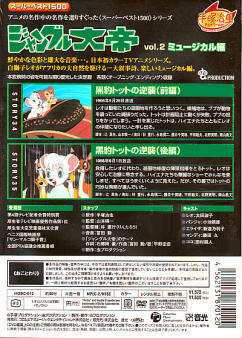 1 DVD with two fan favorite episodes: "The Trappers", in which Kimba meets the two hunters who killed his parents--how will Kimba take his revenge. And "The Day the Sun Went Out", in which Kimba's sister makes a rare appearance, and she and Kimba have a major falling out over their priorities. 5 DVD set: Episodes 1 through 25 plus a special 40-page book. 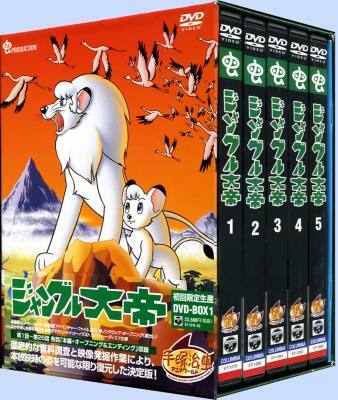 Each DVD has bonus features not on the American Kimba DVDs, in the form of alternate versions of the opening theme. 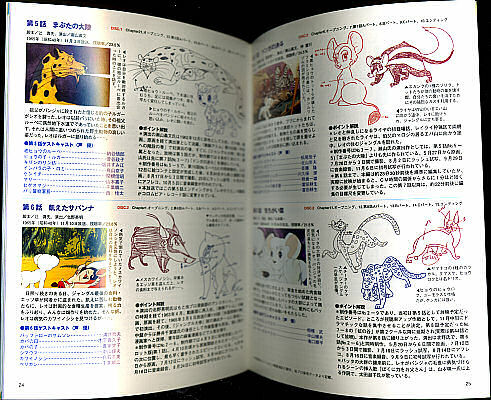 The book is filled with pictures of Kimba collectibles, character designs, and more. These are genuine, original Region 2 DVDs from Tezuka Productions and Nippon Columbia. All dialog and writing are in Japanese and there are no English subtitles. These DVDs are all factory-made. The set is not sealed, but it is in like-new condition. plus $12.95 for Priority INSURED shipping to anywhere in the United States or Airmail shipping to Canada. plus $38.50 for INSURED Priority Mail shipping to your country. This page was updated on April 19, 2012.